Is the BBC the British Tax Avoidance Corporation? The BBC has disclosed that around 3000 people on the Corporation’s books are paid through personal service companies – the same system used until banned by the Treasury by Ed Lester, the Student Loans Company chief, to avoid paying tax or national insurance at source.The full story is in Exaro News at http://www.exaronews.com It comes from a Freedom of Information request by David Mowat, the Conservative MP for Warrington,South and only covers part of the picture. 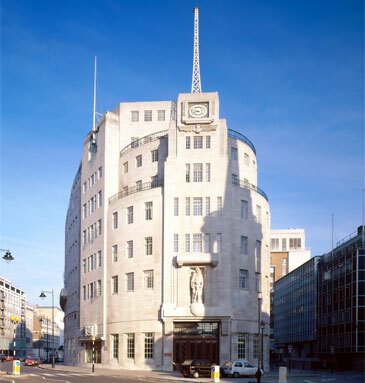 Altogether the BBC across the globe has 20,000 directly paid employees and 12,000 freelancers – 3,000 of them through personal service companies. So none of the high paid presenters will be in this breakdown nor will be people employed on many of the BBC’s commercial activities. Nor are people supplied through Reed Personnel who can choose to be paid through a personal service company, and BBC has decided to keep their numbers secret. This means the figure must be much, much higher. A breakdown provided by the BBC – suggests that more than half the 3,000 are taking less than £26,000 a year, which suggests that they are genuine freelance. Another 1300 or so earn over £26,000 – 318 over £50,000 – and of these five earning over £150,000 and 31 over £100,000. The BBC insist that none of them are permanent staff and like the government point out that none of them are being paid illegally. However there are other questions to be answered. Why are the BBC not doing the same review as Whitehall in finding out whether all these contracts are genuine? David Mowat is right when says the BBC management should do this. And why can’t we find out what the BBC Talent is paid – rather than the BBC sheltering behind an exemption through their Freedom of Information Act aimed to protect journalists; sources not disclose their pay – since it is paid by the licence payer. Also rather disturbingly two prominent journos (one ex BBC)have told me the BBC tried to encourage them to be paid through personal service companies when they did not want to do it. Is this pressure from the BBC to avoid having to pay national insurance and encouraging possible tax avoidance. We should be told. This entry was posted in BBC, media, Whitehall and tagged bbc, freelance earnings, journalists, tax avoidance. Bookmark the permalink. Dimbleby ‘fessed up on Question Time last night. The BBC do retain a lot of specialist project management personel. They are genuine freelancers with no job security or perks of any kind. They have also started to retain the services of ATOS in a big way recently. Perhaps we should be asking why does the BBC lacks so much internal expertise? and is bring ATOS (who have a reputation in the industry for achieving very little, but costing the earth) a good use of public money.